Graduated from the University of Pennsylvania for her undergraduate studies and from New York Medical College for medical school. 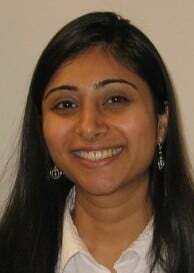 She completed her Internal Medicine Residency in 2008 and Hematology and Oncology Fellowship training in 2011 at Robert Wood Johnson University Hospital/UMDNJ and the Cancer Institute of New Jersey. She is board certified in Internal Medicine, Hematology, and Medical Oncology. She is affiliated with Phelps Memorial Hospital Center, Westchester Medical Center, St. Johns Riverside Hospital, and Hudson Valley Hospital Center. Her focus of interest is in lung cancer and lymphomas.